New iPhones, new MacBooks, and new Apple Watches were bright spots in an otherwise gloomy year of sliding iPhone sales and a legal battle with the FBI. Apple has been doomed for decades, if the steady stream of headlines about the company, its stock price, and its product lineup are to be believed. If The Macalope has taught us anything, it's that the Apple deathwatch business is a brisk (and bizarre) one. The truth is much more complex. But by any measure, 2016 was a particularly tough year for Apple. The company endured a bitter legal fight with the FBI, saw its first revenue decline in more than a decade, and faced backlash over hardware tweaks in its upgraded flagship products: the iPhone 7’s lack of a 3.5mm audio jack and the overhauled MacBook Pro’s less-than-pro specs for a decidedly pro price. 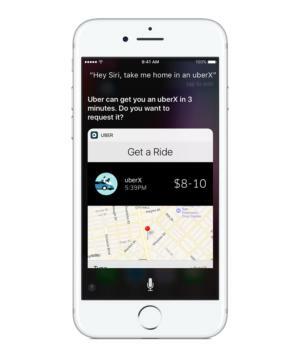 But there were also some bright spots: the success of the 4-inch iPhone SE, the upgraded Apple Watch Series 2, and the release of iOS 10, which turned Siri into a platform. Let’s look back at 2016, the year the headphone jack died. 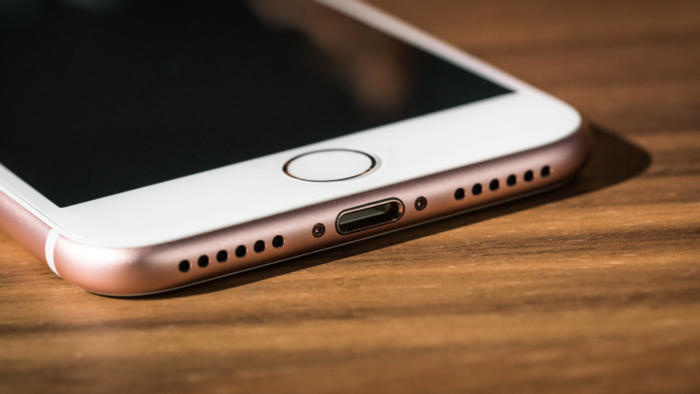 When rumors that Apple was planning to remove the headphone jack from the iPhone first started swirling, the internet collectively freaked out. Some called it an outright user-hostile decision. Was everyone supposed to sacrifice their wired headphones and other peripherals for Bluetooth ones? When Apple senior VP Phil Schiller formally announced the change and called the decision “courageous,” Apple critics scoffed. But then the iPhone 7 and 7 Plus debuted, and it turned out that a lot of people were OK with Apple’s decision, especially because a pair of Lightning earphones and an audio jack dongle were included in the box. The company hasn’t yet reported its holiday quarter earnings, which would reflect just how many iPhones it sold, but the iPhone 7 Plus and jet black iPhone 7 were completely sold out on launch day. A case of limited supply or over-the-top demand? It seems like the latter. While Google celebrated its inclusion of the headphone jack in its flagship Pixel phone, Samsung is reportedly hitching its wagon to Apple’s decision (of course) by ditching the headphone jack in its next device. Apple didn’t just release a headphone jack-less iPhone. 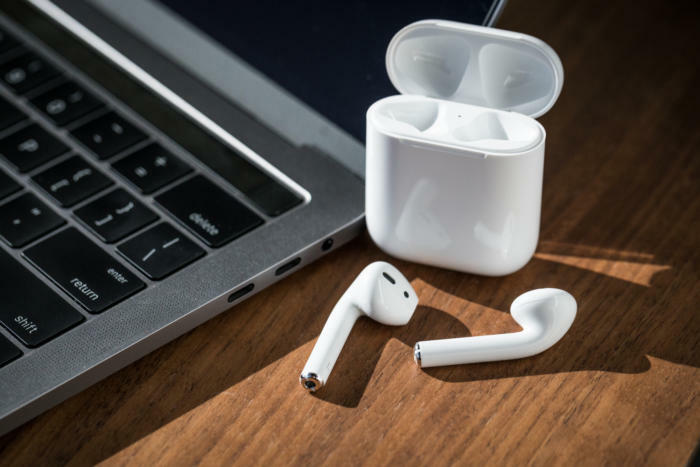 It had a companion accessory lined up, its own cordless Bluetooth earphones called AirPods. 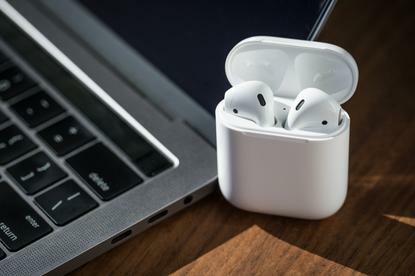 The $159 accessory was slated to ship in October, Apple said at its September iPhone launch event, but the earphones were delayed for months, reportedly due to connectivity issues. Apple started taking preorders on Dec. 13 and shipments began arriving on Monday, Dec. 19, but availability both online and in-store was limited—none could be found in NYC, for example, and shipping estimates quickly slipped to Febuary. But at least Apple made it in time for the holidays, even just barely. The good news: They’re pretty awesome. The AirPods may have shipped months after they were scheduled to, but the overhauled Apple Watch appeared right on time. Apple released two versions at different price points, both with upgraded processors that made native apps run much faster (a big sticking point with the first-gen watch). The Series 2 impressed us with GPS, a brighter display, and its new water-resistance, perfect for swim-tracking. 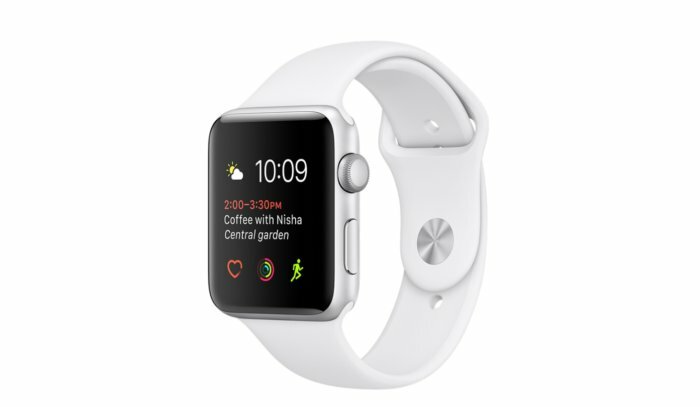 If you don’t need all of those features, the Series 1 is just as powerful, but cheaper. Some say the Series 2 is what the first-gen watch should’ve been, but Apple’s intensified focus on health and fitness is a natural progression. In February 2016, Apple faced one of its greatest challenges ever: pressure from the federal government to unlock a terror suspect’s iPhone. The iPhone at the center of the legal firestorm was a 5c model locked with a passcode and set to destroy all of its data after 10 wrong passcode unlock attempts. So the FBI asked Apple—then tried to legally compel Apple—to write software that would allow the government to bypass the iPhone’s security mechanisms. Apple refused. The ensuing weeks-long legal battle put Apple at the center of a debate about encryption, privacy, and what tech companies are obligated to do for their users and for the authorities. Apple argued that any software it created for the so-called “good guys” would eventually end up in the wrong hands. The FBI ended up finding another way into the iPhone and dropped their case against Apple. Apple reported its first quarterly revenue decline in 13 years in the second quarter of 2016 because of sliding iPhone sales, a trend that continued as the year progressed. This year, the company reported its first year-over-year revenue decline since 2001, down from $233.7 billion in 2015 to $215.6 billion. For comparison, Microsoft’s revenue in the 2016 fiscal year slipped from $93.6 billion to $85.3 billion year-over-year. Can the iPhone 7 Plus’s insanely great camera, the MacBook Pro’s Touch Bar, or Apple’s laser focus on services reverse the downward revenue trend in 2017? Apple sure hopes so. 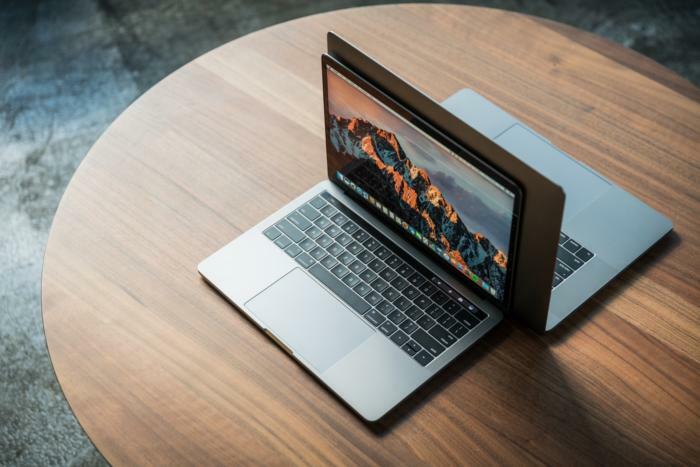 Apple finally gave its professional-grade MacBooks a refresh after four years of minor tweaks, and it sure was a big change. The company replaced the keyboard’s function keys with a contextually aware OLED touchscreen strip that changes according to the app you’re using. Apple also went all-in with USB-C ports. The Touch Bar has been a big hit with reviewers—we loved it, too—but the refreshed 13- and 15-inch laptops have been roundly criticized for their pricing ($1,800 for the smaller base model), 16GB max RAM, and issues with graphics glitches. There were also reports about battery life, but Apple resolved those with a macOS Sierra update addressing the battery time estimator. …Or will it? Rumors that Apple was working on a self-driving car started swirling in late 2015, but this year the rumor mill kicked into overdrive. There were reports of staff upheavals and changing strategies, and in the fall it became clear that Apple was switching gears. The company is no longer building its own car from scratch—instead, it is looking to build an automotive system to power an autonomous car developed by a partner experienced in areas where Apple is not. As it turns out, mass-producing vehicles and mass-producing iPhones are not the same. Better for Apple to bow out before launching a product doomed from the start than to proceed just to prove a point. 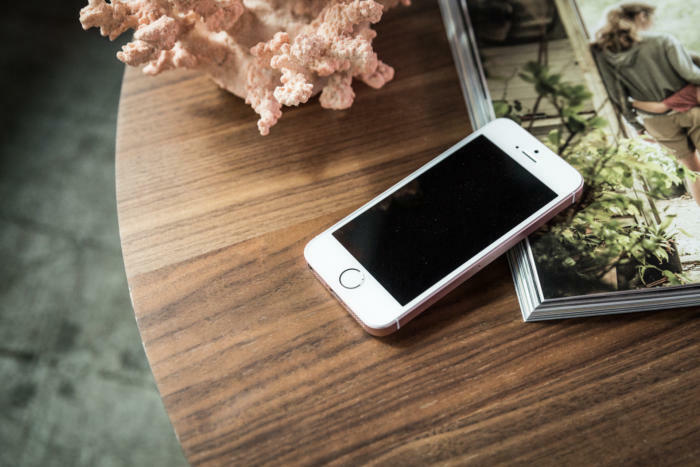 One of Apple’s under-the-radar successes in 2016 was the iPhone SE. Who knew there was such a huge market for a small phone? Apparently, Apple knew, which is why the company released the 4-inch SE after supersizing its lineup with the 6 and 6 Plus in 2014. The SE has the lowest starting price of any iPhone at $399, the stylish look of the iPhone 5 (a design favorite), with the speed, power, and same great camera as the iPhone 6s. It also has a headphone jack, if that’s your jam. Released in March, the SE reportedly prevented a potentially larger iPhone sales slip than Apple experienced this year. Turns out that if you give the people what they want, they will buy it. iOS 10 also turned Messages into a platform with GIFs, stickers, Apple Music integration, and an iMessage App Store using texts to send money via Venmo, play games like Words with Friends, and share sports scores through ESPN. iOS 10 was a huge step forward for Apple. The iPhone 6 and 6s were plagued with problems in 2016. Toward the end of the year, Apple finally addressed a spate of battery complaints about iPhone 6s models. First the company said it was limited to a “small number” of iPhones produced between September and October of 2015, but then acknowledged the problems were more widespread than initally thought. The company launched a battery replacement program. Apple’s press releases about the issue have all been in Chinese, but affected American iPhone owners can take advantage of the free battery replacement, too. iOS 10.2 includes a diagnostic tool that will help Apple figure out exacty why its batteries are randomly shutting down. The iPhone 6s battery problems surfaced just after Apple addressed a touchscreen bug in the 6 and 6 Plus, dubbed “Touch Disease.” Earlier in the year, Apple fixed yet another bug, “Error 53,” which caused Touch ID to fail.